It is a no-brainer to declare that teeth are important parts of the oral system. 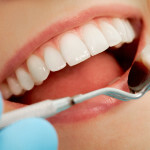 A complete set of teeth can do wonders for a person, as teeth has multiple functions such as eating and speech. It is due to this that dentists often encourage their patients to brush their teeth and follow other healthy oral habits. There are times, however, when tooth loss is unavoidable. Sickness, physical activity and lack of proper oral hygiene contribute to the overall deterioration and eventual loss of teeth. It is fortunate, however, that dental dentures are developed to help people maintain the functionality of their teeth despite the loss of the natural ones. One immediate effect dentures have on a person would have to be in aesthetics. Dental dentures are meant to replace missing teeth, so they are definitely crafted to look like such. Denture wearers gain back a complete set of pearly whites. These dentures will also support the facial muscles and structure that was weakened by the missing tooth. Besides the aesthetics, dentures can also help wearers in eating and speaking, as teeth also have a role in those actions. 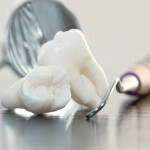 However, there are a few minor problems with dentures, such as the need to visit a reliable Concord dentist several times or the initial discomfort caused by the dentures, but the pros easily outweigh the cons. Dental dentures are great implements, but proper cleaning must be done in order to avoid any kind of infection that can possibly harm the entire oral system. Rinse the dentures to get rid of debris that can possibly damage the roof of the teeth or the gums. Never use bleach or abrasive cleansers when cleaning the dentures. Gentle brushing inside and out can do the work just fine. 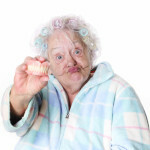 There are different kinds of dentures suitable for different situations, such as complete, immediate, and overdentures. It must be noted, however, that there are other alternatives (such as dental implants) if one does not want to avail of dentures. One must simply ask a good dentist in Concord to learn more about possible options. Patients with missing teeth have a lot to gain from obtaining dental dentures. 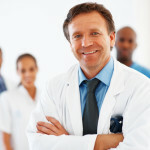 All they have to do is consult a reliable dentist like Dr. Kent Davis to learn more.